Biggest NHS ‘market’ deal to date collapses – what now? A highly controversial new style of contract for nearly a billion pounds worth of older people’s healthcare in the East of England has collapsed – but will anyone learn the right lessons? One of the largest NHS ‘market’ contracts to date collapsed this month. The£800million (originally £1 billion) deal to provide NHS care for older people in Cambridgeshire and Peterborough failed after only 8 months, deemed “financially unsustainable”. So what does this mean for the future of health care in the region? And for the government’s preferred – and expensive – approach to offering up NHS contracts? Back in 2013 Cambridgeshire NHS bosses created the largest potential privatisation to date. 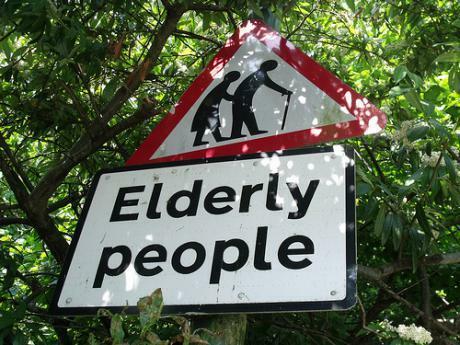 They claimed that only by offering all older people’s healthcare to private sector bidders, could they deliver the ‘innovative’ services needed, ‘joined up’ with social care. The controversial contract – delivered through the largely untested model of ‘outcome based contracting’ – included bold promises to reduce nearby hospital admissions by 20%. As private firms like Virgin, Care UK and UnitedHealth submitted bids, a huge public backlash followed – including a successful legal challenge by local campaigners to find out more detail on the plans. Several private bidders including Capita, Circle, Serco and Interserve pulled out, citing ‘affordability concerns’. A new NHS ‘Uniting Care Partnership’ (the local acute and mental health trusts) eventually took over, after a bidding process that cost the CCG over a million pounds (and cost the NHS hospitals that had to fight off the private health firms, considerably more). Predictably perhaps, the ‘Partnership’ has now found they couldn’t deliver the promised outcomes for the money on offer, either.